will introduce new songs and styles for the student to pursue. As we train, we learn about singing methods, diction, posture, proper breathing, caring for the voice, and ultimately stage performance and microphone technique. Singers need strong lungs for sustaining long notes, high pitches and everything in between. Our vocal coaching teaches warm-up exercises specifically for strengthening the lungs’ capacity to take in air while learn breath control (letting the air out). The voice coach teaches the students proper inhalation techniques, teaches where the diaphragm is and how it affects singing and the position of the lungs. We understand that learning the human parts responsible for singing make students aware of how air comes into the body, which is important in singing. Our backyard stage is a platform for students to practice performing. Confidence on stage can be taught by experience. 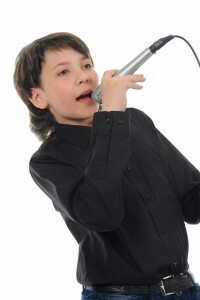 Students in voice lessons are taught to conquering stage fright and let go of nervousness. We learn to sing for the audience because it is important to connect with people. 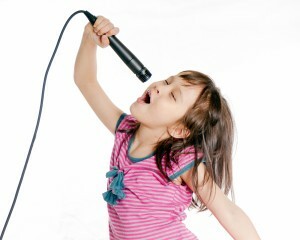 Singers and performers can express themselves honestly if they know how to conquer the stage. We provide a low pressure environment with a layer back atmosphere. The recitals are so much and everyone looks forward to being a part of them. 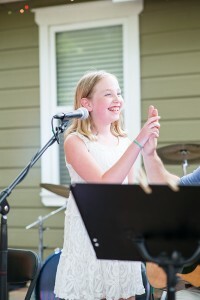 Students in voice lessons are creating family memories of a lifetime from our stage. We offer superior music lessons in guitar, piano, voice, drums, bass, flute and more in a clean, safe and family oriented home serving Cedar Park, Leander, Liberty Hill, Georgetown, NW Austin Texas and Round Rock.